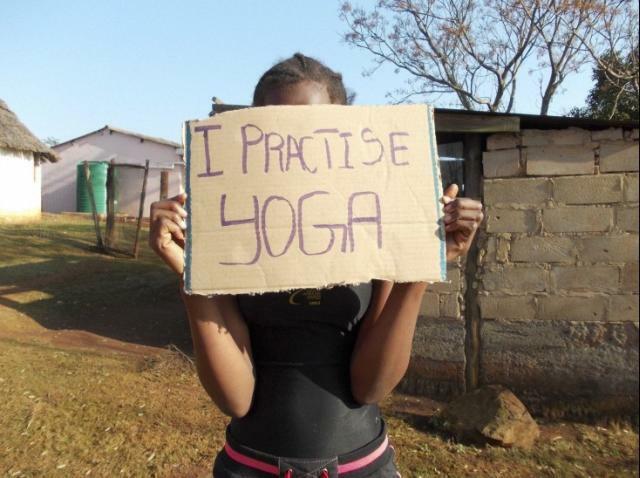 Nothando Sabela, Vinyasa Flow 2, 2012 Credit:Courtesy the artist and Wellcome Collection. If you’re as moved by art as you’re fascinated by science, then head to the Wellcome Collection’s latest exhibition Foreign Bodies, Common Ground. This exhibition presents the results of residencies by six artists in medical research centres funded by the Wellcome Trust in Asia, Africa and the United Kingdom. The brief given to the artists was to produce work based on research programmes being conducted at these centres. The end result is a diverse display of drawings, paintings, videos and installations that represent the different points at which medical practices connect with the local community, and the diseases they both battle. Lêna Bùi (Vietnam) examined zoonosis or the transfer of diseases from animals to humans at the Oxford University Clinical Research Unit in Ho Chi Minh City. Don’t miss her stunning Where Birds Dance Their Last video, filmed in the Trieu Khuc village where locals earn their living collecting chicken and duck feathers. Katie Paterson (United Kingdom) researched genomic archaeology at the Wellcome Trust Sanger Institute in Cambridge, and has crafted a stunning Fossil Necklace that traces the biological history of the planet. Elson Kambalu (Malawi) worked with the research team at the Malawi-Liverpool-Wellcome Trust Clinical Research programme and produced work that dramatises the local community’s perceptions of scientific research and concerns of access to healthcare. B-Floor Theatre (Thailand) has created a performance and installation based on its interactions with the immunologists at the Wellcome Trust-Mahidol University-Oxford Tropical Medicine Research Programme. And Zwelethu Mthethwa (South Africa) worked with the Africa Centre for Health and Population Studies to explore their HIV research data collection techniques. The poignant photographs he has on display are the result of giving cameras to young locals, and asking them to explore the concept of good health. Miriam Syowia Kyambi and James Muriuki (Kenya) worked with the KEMRI-Wellcome Trust Research Programme in Kilifi to examine how the community belief system interacts with scientific research, and the resulting expectations, tensions and hopes. Part of their display also includes a mobile photo studio where you can dress up in medical garb and have your portrait taken. While this exhibition is universal in terms of its subject matter, it would have been interesting to see how these artists responded if they had travelled to countries foreign to their own. But the fact that they negotiated these perspectives within their own cultural context is an advantage in many ways, and one that makes this display refreshingly accessible and sincere. Foreign Bodies, Common Ground runs till 9 February 2014 at Wellcome Collection, 183 Euston Road, NW1 2BE. Admission is free. Advance booking required for the accompanying free events programme.